All you need is 5 hair ties. Raising a baby requires a lot more than 9 months of pregnancy. You love your angel to death but you know right now, they are self-absorbed, demanding and prone to frequent outbursts. Being a parent doesn’t only teach you to grow up and take responsibility, it’s a test of your anger management, sleep deprivation and patience to deal with absurdity. So far, science and all the mums, combined haven’t found a way to deal with crying babies but they’ve come up with their own ways to deal with parenthood. 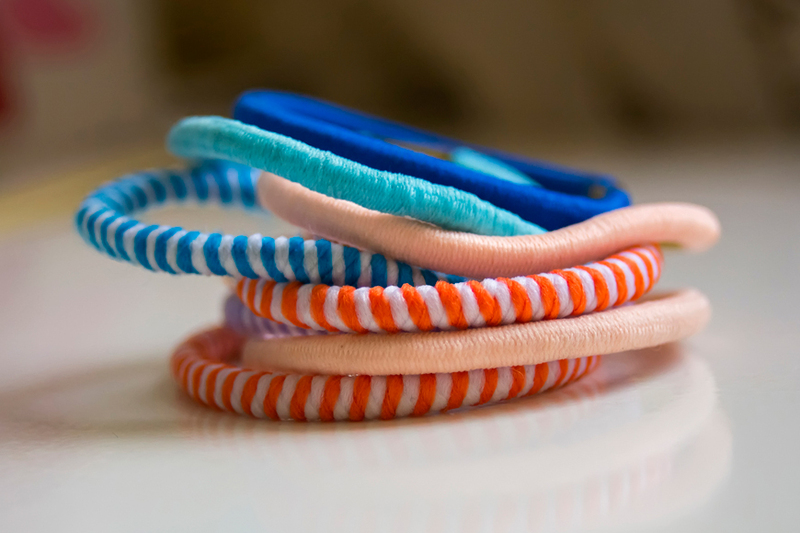 One hair tie trick, in particular, is helping mums to deal with anger management. It all started when Kelly Holmes, of The Reformed Idealist Mom blog, realised she often lost her temper with her middle daughter. "Something about the preschooler-ness of my preschooler was turning me into an angry mother every time I opened my mouth to talk to her," she wrote on her blog. "I needed help." Tired and scared of her snapping and yelling at her kids, Kelly decided to keep a visual reminder close at hand. Whenever she was with her kids, she'd put five hair ties on one wrist. Every time she felt like she lost her temper, she moved one hair band to the other arm. Seeing an empty hand would make her realise how many times she lost her temper. So, in order to earn back the hair ties, she would sit down and create a few positive moments with her daughter like reading a book together, dancing or singing a song together. Kelly's method quickly went viral with many mums claiming how it helped them in controlling their frustration. "I don’t even have kids, but I love this. Ha! Something made me want to click on this article and I’m very glad I did. (I feel like this could be applied to so many different relationships, not just with kids.) Thanks for the tip!" one reader commented on her blog.